Adjustable Strap makes carrying your laundry to and from the dorm laundry room easier and hands-free! No matter how long you try and put it off you will inevitably have to take your dirty clothes off of your dorm room floor and to the campus laundry room. But laundry day doesn't have to be a huge hassle, even if you have a few loads of laundry to do. 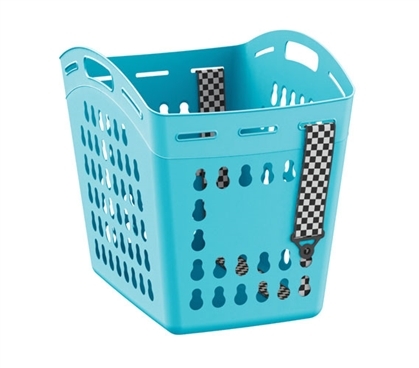 With our Hands Free Laundry Basket with Adjustable Strap - Aqua, you can carry your laundry to and from your dorm room with ease! Everything about this one-of-a-kind college laundry basket make it a dorm essential. 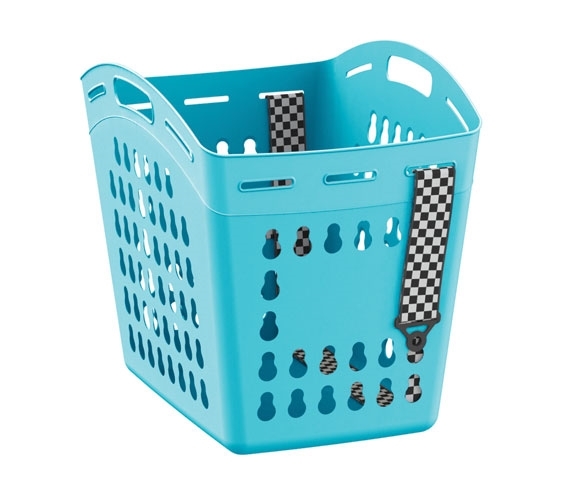 This dorm laundry basket can hold up to 25 lbs. of your dirty laundry, which means you can pile up your clothes and not have to worry about them right away. The black and white adjustable strap also allows for easy transport from your dorm room to the college laundry room and back again. You can slip the handy strap over your arm or shoulder, leaving your hands free to open doors or to carry your laundry cleaning items or even some homework you can do while waiting. The combination of the black and white strap and the aqua college laundry basket will perfectly accent your dorm decor, making this an essential and stylish college supply!